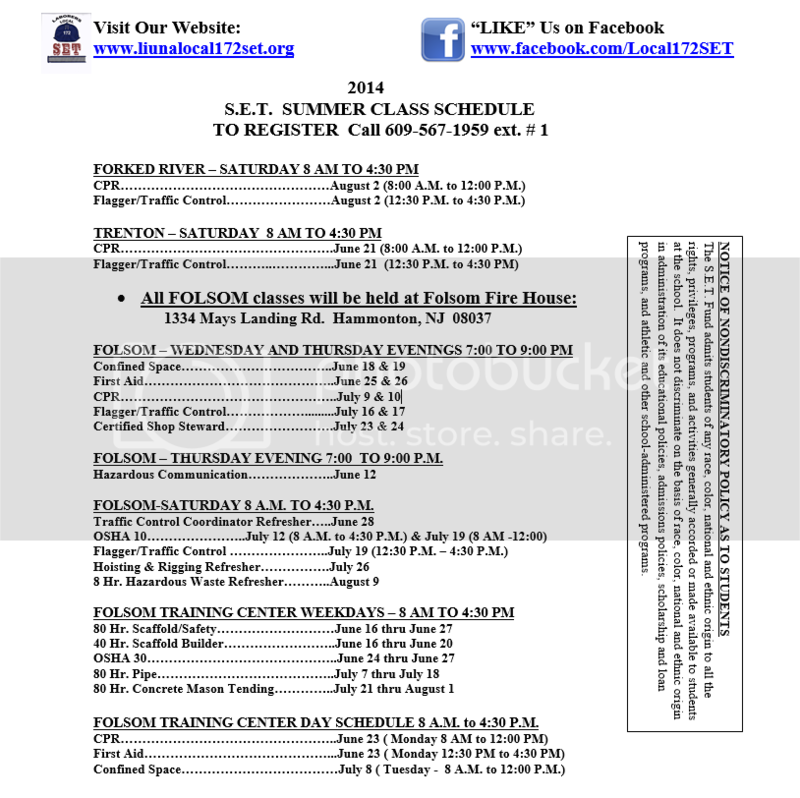 *REMINDER* All FOLSOM CLASSES WILL BE HELD AT THE FOLSOM FIRE HOUSE LOCATED AT 1334 MAYS LANDING ROAD HAMMONTON NJ 08037. Or, "LIKE" us on Facebook and message us your name, class, and phone number. When you "LIKE" our Facebook page, you will receive updates about Local 172 S.E.T.